Brisbane - Proteas batsman JP Duminy will take no further part in the Test series against Australia after rupturing his left Achilles’ tendon on Friday. The injury occurred during a fitness training drill after the opening day at the Gabba with MRI scans confirming the injury. Team Manager, Dr Mohammed Moosajee said: “At first assessment JP said he heard a loud clicking sound and it felt like he had been hit by an object. The diagnosis of an Achilles’ tendon rupture was confirmed by the MRI scan this evening and he will undergo surgery to re-attach the tendon on Saturday morning. “Injuries of this nature are caused by a sudden contraction against the direction of movement by the calf muscle as was the case during his sprint. “We will only be able to gauge further down the line on an expected recovery date, but injuries of this nature have been known to take up to at least six months before the player can resume playing cricket. Duminy will not feature in the rest of the match, with 12th man Francois du Plessis assuming the fielding duties. 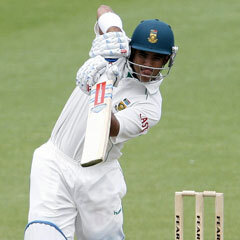 He will return back to South Africa as soon as possible with a replacement to be named in due course.